Alexandra Gill recently published her Top 10 New Vancouver Restaurants of 2017 in the Globe & Mail and we are elated to share Botanist was included at number 4! …Hector Laguna’s Mediterranean-inspired cooking shined bright. 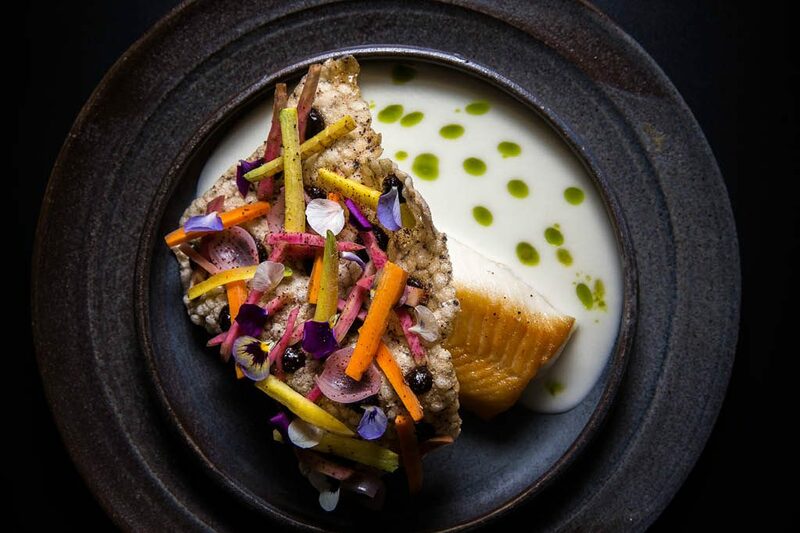 Sprung virtually unknown from Hawksworth Restaurant, the Mexican-born chef has quickly asserted himself as a big talent. Eschewing sous vide boil-in-a-bag, his pan-seared meats ripple with supple tenderness and brawny texture. Pastas are pregnant with egg yolk. Delicate deconstructions (burrata sorbet and smoked egg-yolk ringed by white Parmesan foam over hand-cut beef tartare) thunder with calibrated jolts of herbed oils and spicy vinaigrettes. To read the complete top 10 list, click here.